AUCKLAND, New Zealand - Navy Blues midfielder, Cole Peverley is excited after a positive group stage to feature in the next phase of the OFC Champions League, when Auckland City FC host the Solomon Warriors on Sunday. 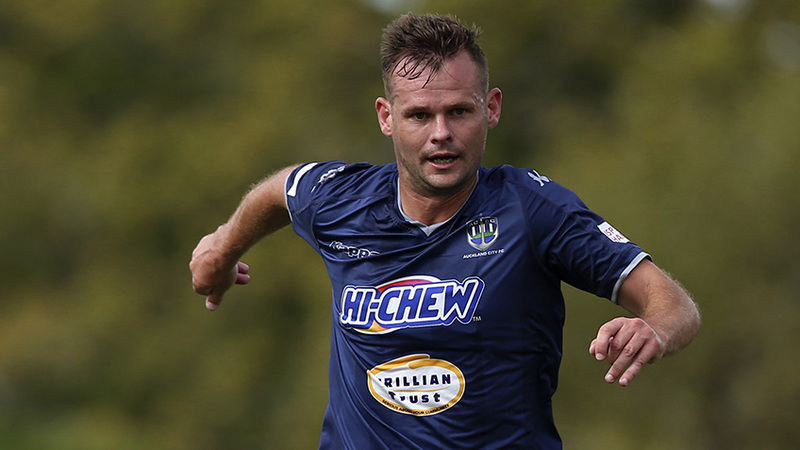 After linking up with the Navy Blues midway through the season from Team Wellington, Peverley has made an instant impact in Auckland City FC’s OFC Champions League campaign. Starting in all three Champions League group matches, Peverley played a vital role at the heart of midfield when Auckland City FC brushed through Group C last month. Ahead of this weekend’s game, Peverley acknowledges the challenge of playing a side like the Solomon Warriors and keeping a positive mentality will earn them the right result. The Solomon Warriors may have never beaten the Navy Blues before, but pose a serious attacking threat on the counter-attack, with the attacking talent of Gagame Feni, Kensi Tangis and Jerry Donga. Peverley understands the consequences of giving the Solomon Island side the time and space to do perform their attacking flair. The match will kick off at Kiwitea Street at 2pm.